The ultimate classic professional range, Mobile VIP combines premium styling with superior protection for your laptop. Featuring an innovative Multi-Fit cradle in the laptop compartment, which can securely accommodate a range of different sized hardware, this briefcase is designed to carry and protect laptops between 12 and 15.6â€ with a reassuringly snug fit. Offering superior protection, the SafePortÂ® Sling Suspension system suspends your laptop in case it is dropped. 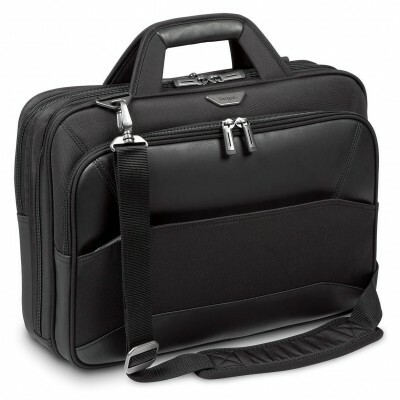 From a weather resistant base and contoured shoulder strap, to soft-lined magnetic handles and lockable zippers, this laptop briefcase features outstanding attention to detail.